Laura Ingalls and her bulldog, Jack, have been together for as long as she can remember—and he’s no ordinary dog. 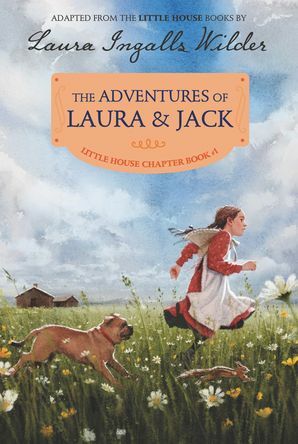 Join the original pioneer girl in this Little House chapter book, adapted from Laura Ingalls Wilder’s beloved classics. Illustrated with beautiful new black-and-white artwork, this repackaged edition includes bonus material such as games, activities, and more! Jack travels with Laura and her pioneer family all the way from the Big Woods of Wisconsin to the West. He protects them from wolves, cattle that go astray, and sometimes even a friendly neighbor. And he can always help Laura find her way home.